We think it's so cute when the flower girl has her own mini bouquet. This pew end made of seeded eucalyptus, wax flower, and delphinium is simple yet elegant. We have these tall vases available for rent and they make wonderful centerpieces. The height makes it easy for guests to see across the table as well as give a dramatic touch. 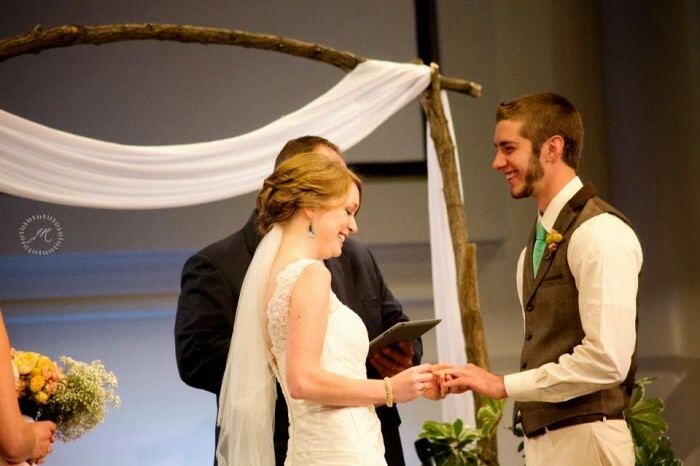 To see more beautiful pictures of their wedding, check out the photographer, Janae Rose Photography's website. 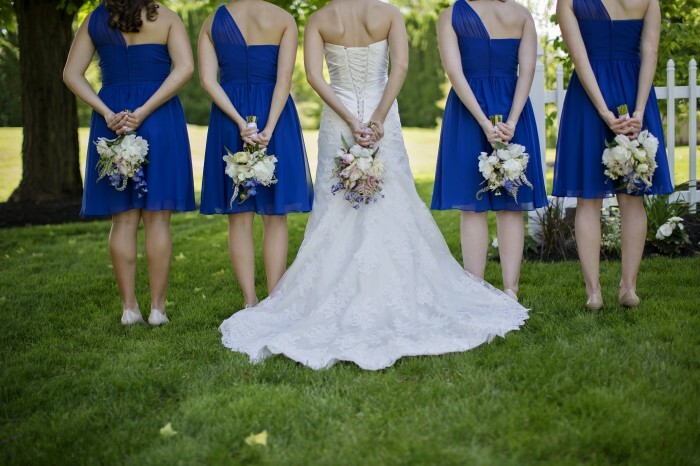 Who knew that blue dresses and yellow flowers could look so fantastic together?! 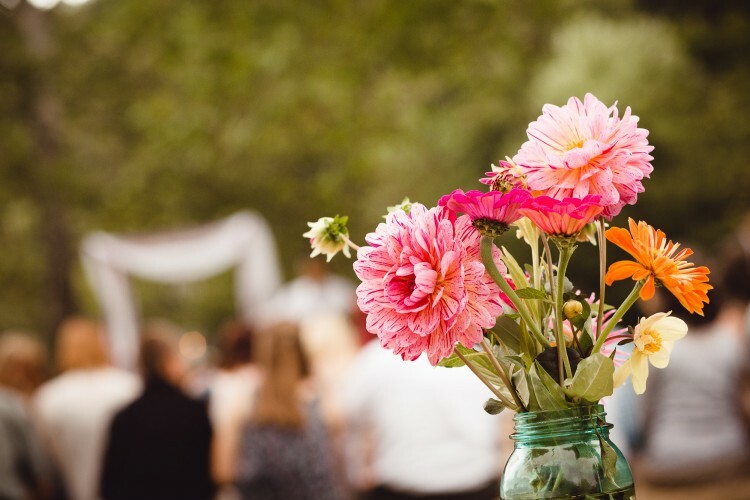 Here are a few glimpses at the flowers that added a splash of color to Brad + Krista's wedding.